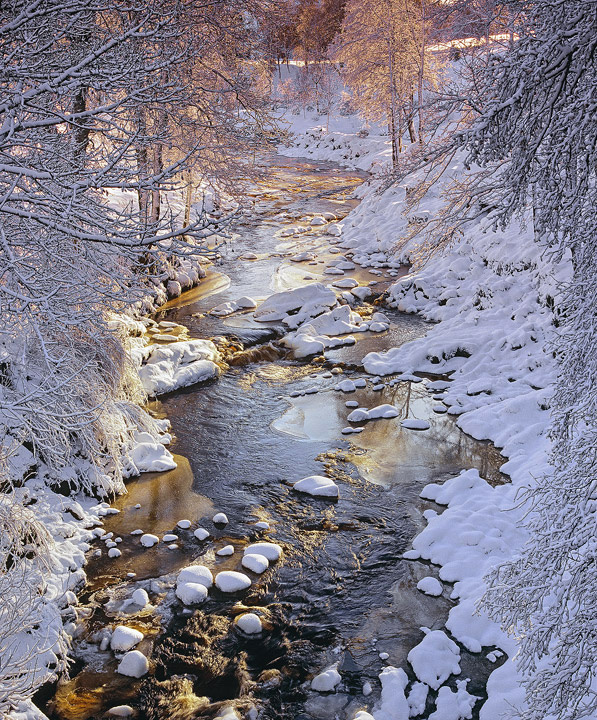 The little brook that runs beneath the massive arches of the viaduct at Edinkillie was on this occasion coated with heavy snow which stuck to every rock and branch even in the middle of the part frozen stream. At first light the pink fingers of dawn touched the birch trees causing them to glow pink. The effect didn't last long and the light quickly turned yellow then white.